Monte Carlo (Monaco) – January 17, 2015 – Yachting and golfing in the Mediterranean is best May through October. It is then that you can enjoy the long days of sunshine, bustling sidewalk cafés for people watching and warm waters for swimming from the yacht’s marina. We take great pride in offering exceptional itineraries to classic yachting destinations and fascinating harbors, brimming with individuality and character. From the legendary courses of Spain to classic yachting destinations like Monte Carlo, it’s the ideal way to enjoy this part of the world. See overleaf for a selection of voyages. In these unique golfing destinations, Seadream Yacht Club is pleased to arrange your tee times, round trip transfers and a shared golf cart. The fees associated with the golf packages are not included in your voyage pricing. The golf package prices are listed on our website under Yachting Land Adventures in each specific port where a golf option is available. 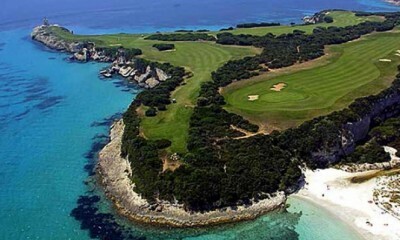 Golf club rental, shoes, gloves & balls are generally not included but may be arranged with the courses and Seadream. SeaDream Yacht Club Ltd, Asia.